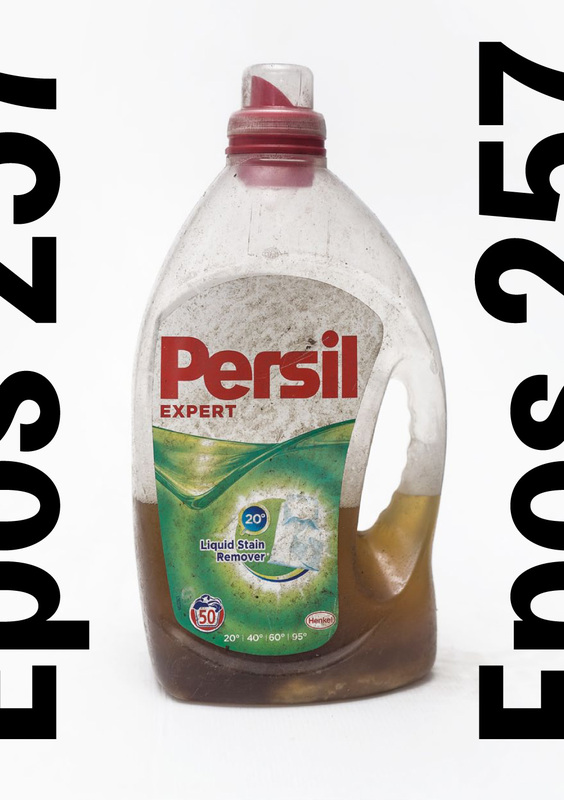 Generally, the exhibition by EPOS 257 in the Trafo Gallery is a series of found objects and documentary photographs accompanied by author’s texts. Objects, photographs and texts are connected by the environment of urban wilderness, the interface of the nature and the civilization. There is a book going to be published during the exhibition, which will complete presented artifacts and broaden both visual and text materials, whose base can be found in the gallery. However, this kind of mechanical description doesn´t say anything about the process leading to the exhibition itself, which is essential for the author. The sites of ruined factories, abandoned nooks of railway stations, building sites waiting for some construction to be started, overgrown gardener´s colonies. 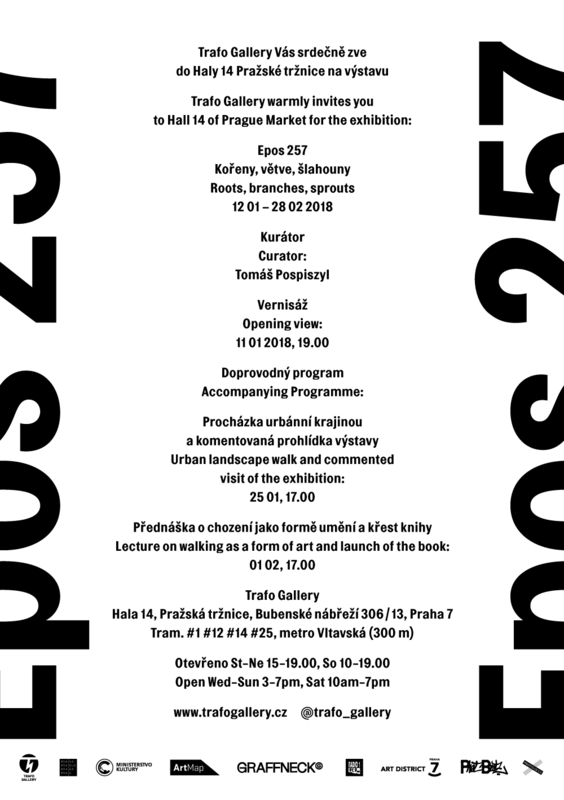 The name of the exhibition Roots, Branches, Offshoots refers to what we can usually find on places visited by EPOS 257: self-seeding vegetation growing fast there. Somewhere under it there are lonely buildings and industrial equipment, but there also homeless people who exist there. While those places remind of islands of wilderness, the survival strategy of their temporary inhabitants resemble prehistoric way of life. Last but not least, many of those places are joined with the graffiti scene. EPOS 257 does not only want to point out a formal similarity between omnipresent growing bushes and graffiti. He sees their affinity based on inner principles. 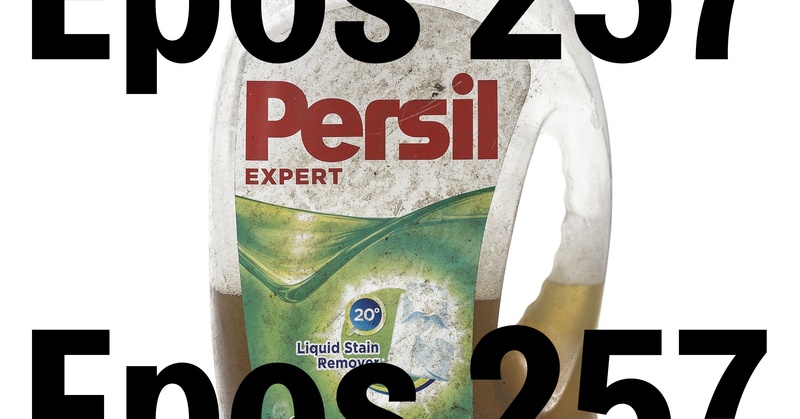 EPOS 257 repeatedly visits peripheral places and observes their hidden life by an experienced eye. He interprets seemingly uninteresting mounds of waste, he watches both natural cycles and cycles of urban civilization, he documents their changes and thinks about the rules of their coexistence. That´s why EPOS 257 conquers and assembles fences, ladders and other constructions, covered by vegetation. We can find both organic and geometric, natural and industrial there, in one embrace. Growing through is a result of a dialogue and a mutual negotiation, whose outcomes the author conveys in the gallery. However, the most personal media of EPOS 257 is wandering through urban landscape and being intensively immersed in it. The exhibition is not a closed retrospective of a meritorious graffiti artist´s experiences, the author mediates his constantly living stay in a specific and changeable environment. From a writer, whose instincts are still preserved, EPOS 257 has changed into an observer. He is able to read voices in a cacophony of natural and civilization sounds, voices that are unobvious and difficult to understand for most of us. The exhibition completes author´s development from unrestrained contribution to urban entropy to an introspective reflection of the modern world. EPOS 257 was a part of the Prague graffiti scene, he studied at the Academy of Arts, Architecture and Design. He makes interventions in public space (Hay, 2009, 50m2 of Public Space, 2010, Urban Shoot Paintings, 2009-2011, etc.) and mediates similar processes in galleries (for instance the exhibition Retroreflection in the National Gallery in Prague in 2017). His work is influenced by his interest in graphic design and architecture, including social subject matters. The project Roots, Branches, Offshoots by EPOS 257 is focused on urban wilderness, to nooks on the border between the nature and the city, but also to places of social transformation. Objects, photographs and texts are a proof of author’s intensive relationship with localities on the edge of public interest and their hidden life.